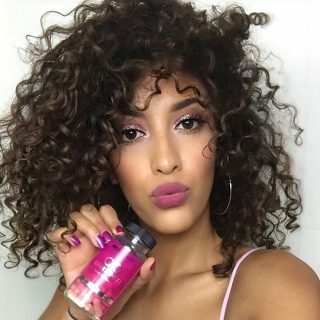 Using her social media pages to let her followers and fans know what’s up, the model / actress / businesswoman has provided photo proof of her hair’s condition without any additions. In recent Instagram posts showcasing her own hair, Cynthia Bailey’s tresses fall just past her shoulders, which is a big jump in length from the year before when her mane was a lot shorter. She credits regular and consistent use of Hairfinity for keeping her hair healthy and flourishing. She’s been a user for about the last two years and she admits the supplement has given her amazing results. Now, if this busy woman and mom can find the time to be consistent with her vitamins, then there’s hope for the rest of us incredibly busy women out here, too! Ms. Bailey explains that she tries to take a break from weaves about every three months. Whether you wear extensions as frequently as she does or not, giving your hair and scalp a rest is important. While she strives to make her breaks last about two months, she encourages a minimum of two weeks. Oftentimes, due to her busy schedule, family duties and various other commitments, she might not quite make a two-month break, but any length of time will help. The longer you can go without extensions, the better. 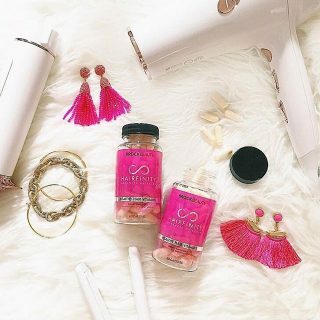 In the meantime, continue taking Hairfinity to keep your locks well-nourished from the inside out. 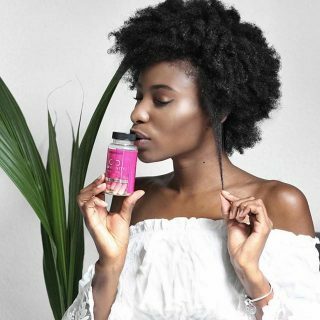 You don’t have to be a regular wig or weave-wearer to experience the benefits of taking Hairfinity, but if you do a lot to your tresses, you’ll definitely want to use this supplement to keep your mane strong and in great condition. The vitamins fill in nutritional holes you may have in your diet, encouraging healthy growth. Ms. Bailey knows that her wigs and weaves have to come off sometime and she depends on Hairfinity to keep her tresses in good shape so that when she removes her extensions, her own mane is good to go. Just because Cynthia Bailey takes a break from her weaves doesn’t mean she’ll be caught out looking anything less than fabulous! During these rest periods, she freely admits to sporting wigs that she can easily take off at night to let her scalp breathe. 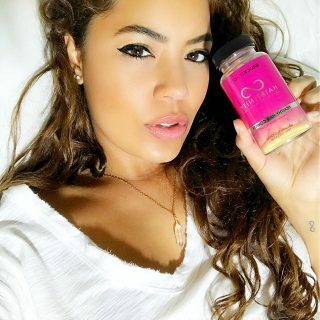 She also practices good hair care with frequent cleansing and using deep conditioners and leave-in conditioners regularly for additional moisture. She relies on easy hairstyles like ponytails or anything that doesn’t depend on a lot of heat styling. Although she’s used to having stylists maintain her hair while on sets and shoots, she’s smart enough to know how to take care of her own locks when she has to. While her extensions give her a television-ready look, she also enjoys the protective benefits they provide for her as well. Even this jet-setting model admits that “the hair struggle is real,” so don’t feel bad if your locks aren’t looking as great as you want them to. Resolve today to begin taking better care of your tresses if they require extra TLC. This includes regular cleansing and frequent conditioning. The Gentle Cleanse shampoo and Balanced Moisture Conditioner in the Hairfinity Advanced Haircare line is a great place to start. Regular use of the Strengthening Amino Masque keeps your hair protected from breakage and split ends. The Nourishing Botanical Oil is a wonderfully lightweight way to improve your hair’s elasticity and vitality. 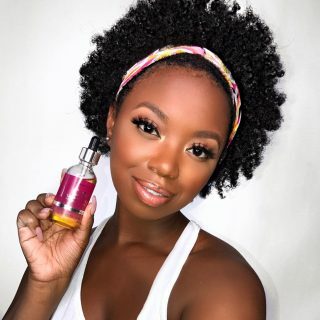 Finally, since we’re all trying to keep our edges on point, don’t forget to apply the Infinite Edges Serum, which will keep your hairline intact and gorgeous. Yes, Hairfinity vitamins will fill in any dietary gaps in order to give your hair the best chance it has to flourish. However, the more you do to maintain a healthy body, like Ms. Bailey, the better your results will be. She’s been in the modeling game for a while and is able to maintain her figure by making smart choices when it comes to food and fitness. Be sure to follow a well-rounded eating plan full of fresh fruits, vegetables, lean proteins and whole grains. Also, drinking plenty of water not only hydrates your skin, resulting in a glowing complexion, it helps to hydrate your hair as well since your tresses grow directly from a well-maintained scalp. 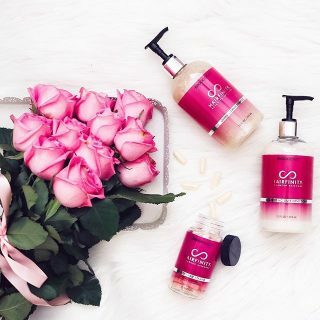 With a workout routine in place doing what you love, whether it’s biking, walking, jogging or taking dance aerobics, you’ll have a strong, healthy body to go along with your strong, healthy tresses courtesy of Hairfinity.